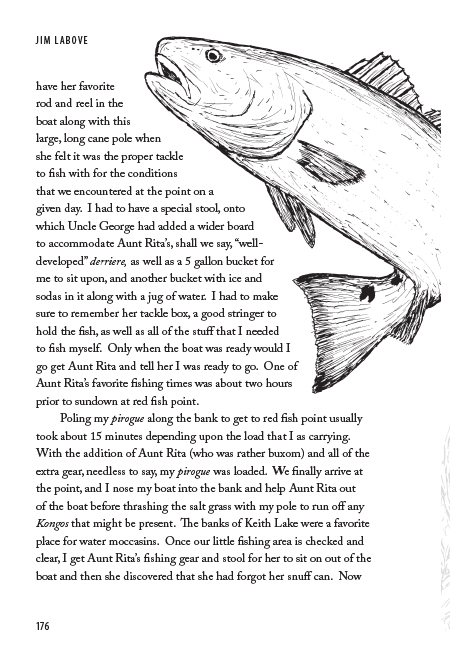 Southeast Texas native Jim LaBove returns to the bayous and salt marshes of his youth in Sunrise Over Keith Lake, a Cajun autobiographical cookbook. 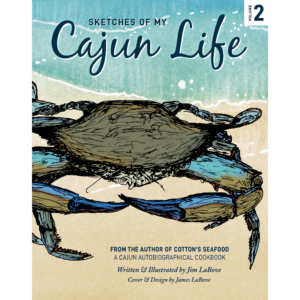 With a focus on the lives of his aunt, uncle, and cousins, Jim combines stories of his Cajun childhood with traditional recipes, field sketches, and period photographs to tell a one-of-a-kind story that might surprise even the surest of lovers of Cajun culture. The book is framed by the legacy of the historic Sabine Pass Lighthouse, which borders Southeast Texas and Southwest Louisiana. 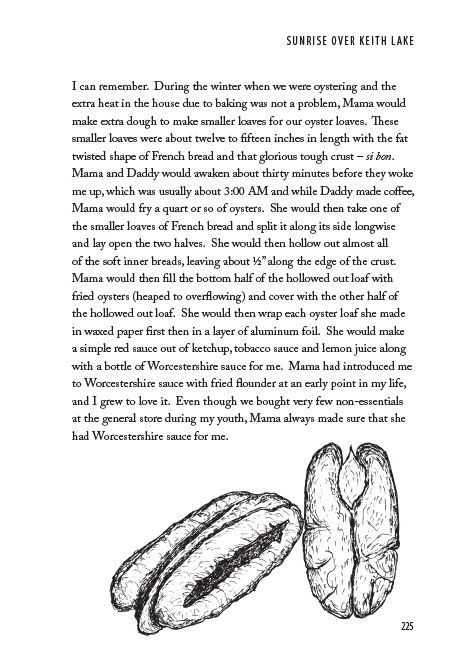 Thought to be the oldest brick structure remaining in the area, the “Sabine Light” was once an important resource for marine commerce in the area before falling into disuse and neglect early-to-mid 20th century. 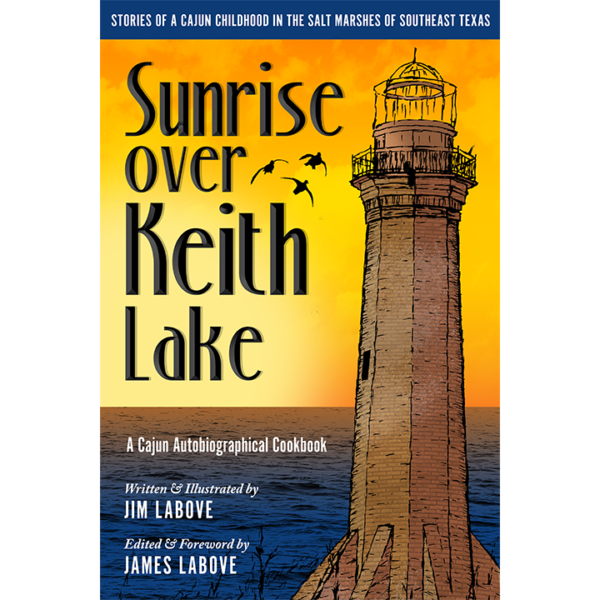 In considering the fate of this link between two states that has slowly been lost to time, Jim recognized the parallels between it and the people of the area surrounding the lighthouse. 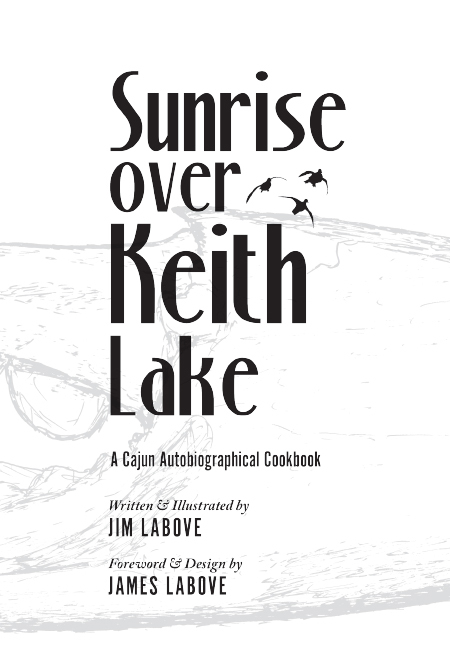 Sunrise Over Keith Lake is the second installment in the “Cotton’s Seafood” line of autobiographical cookbooks about bayou Cajun culture in the mid-20th century. 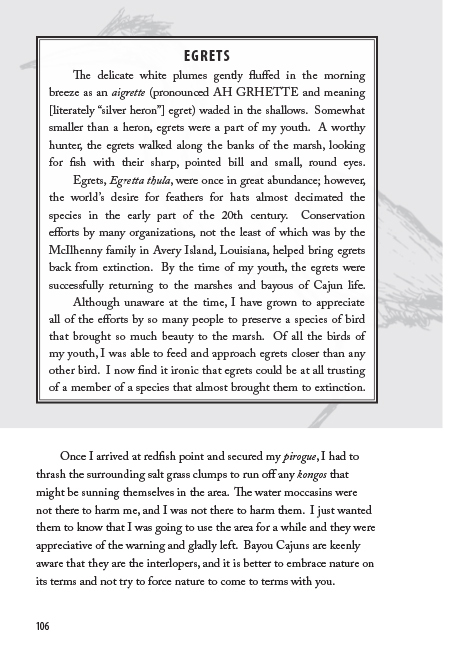 Within these books, Jim recounts the stories, adventures, and harsh lessons of life experienced by a group of people often adjacent to (but rarely the focus of) national attention: The Acadian diaspora who settled in the salt marshes of Southeast Texas and Southwest Louisiana. 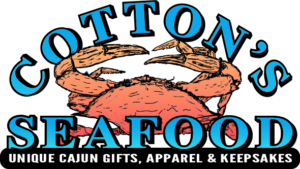 The bayou Cajuns of this region lived rough, humble, unheralded lives far removed from the cosmopolitan Creole Cajun culture of New Orleans that often comes to mind in modern popular culture. 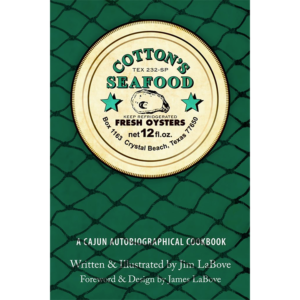 The “Cotton’s Seafood” books are in part a way for Jim to shine a light on the plurality of experiences and cultures that define and influence true Cajun life: As with other groups of people, there is no single monolithic “Cajun experience” to be found in the real world. 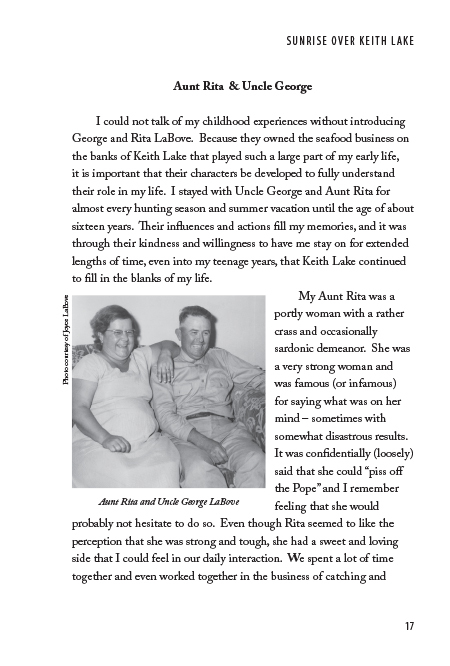 In reading Sunrise Over Keith Lake, you will see a Cajun way of life that is totally distinct and unique to the area where Jim grew up. 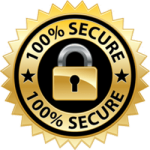 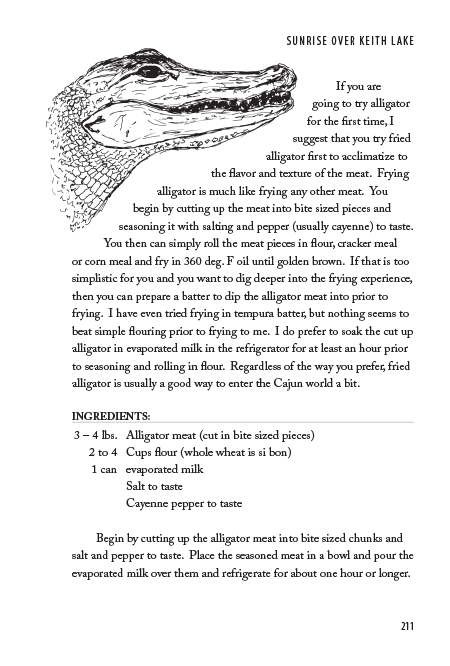 Along the way, Jim complements his remarkable stories with authentic bayou Cajun family recipes, giving you a further window into the world of this group of people (as well as a collection of unique and tasty recipes you can try for yourself). 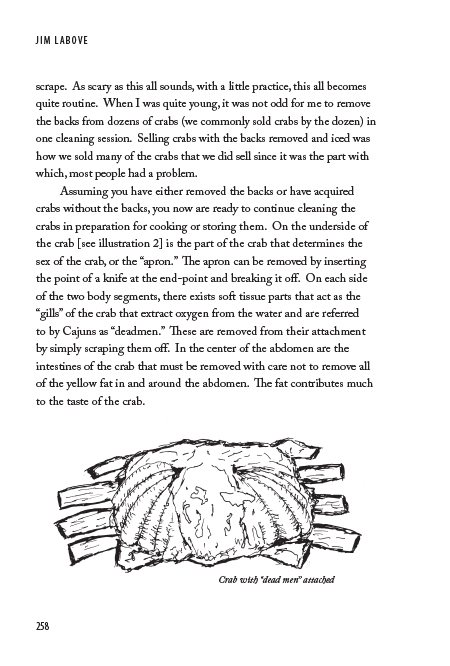 Throughout the book, Jim also painstakingly illustrates his memories with field sketches of food, animals, plant life, and objects unique to bayou Cajun culture. 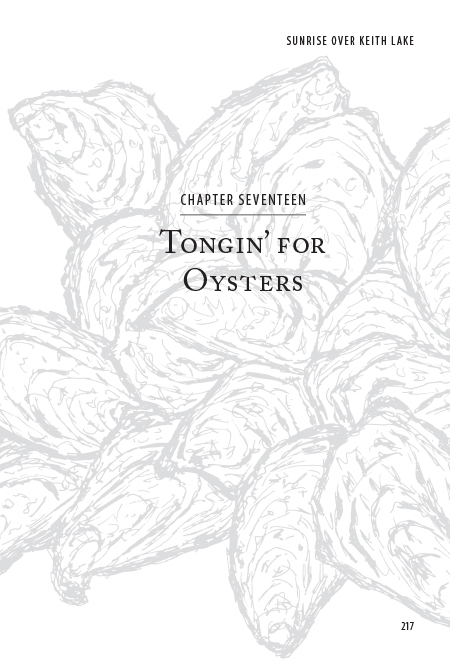 The first book in the series (also titled Cotton’s Seafood) was released in 2016. 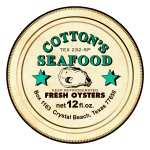 It focused on Jim’s recollections of his parents’ lives, work, and recipes, and took its name from his father Cotton’s seafood business. 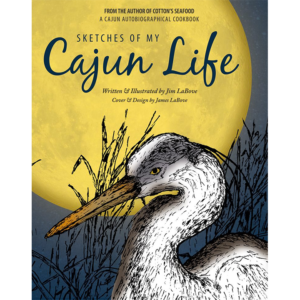 In 2017, this was followed by Sketches of My Cajun life, an art book and supplemental entry in the series featuring a new collection of Jim’s grouped field sketches, grouped by subjects relevant to Cajun interests. 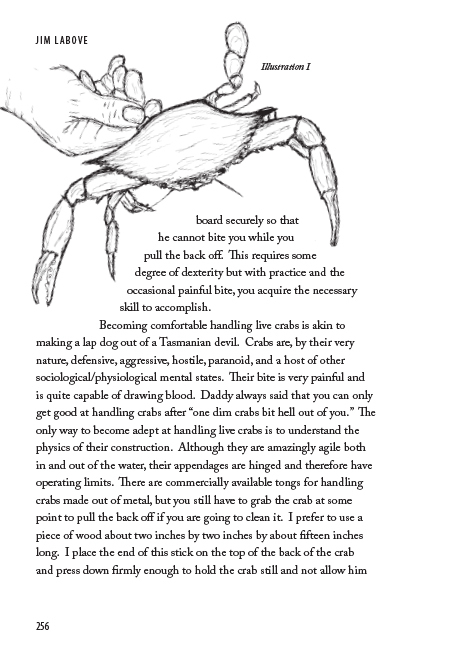 A second art book is scheduled for publication in 2018.